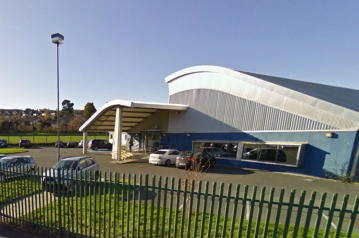 The control system installed at Wicklow Leisure Centre controls the building's air handling systems and also monitors the gas and electricity usage of the centre. The system is accessed on site through a web browser using the Mach ProWebSys and also available externally on the internet for the monitoring by the staff. Mach Stat's are used for local monitoring and adjustments in the plant room area's. 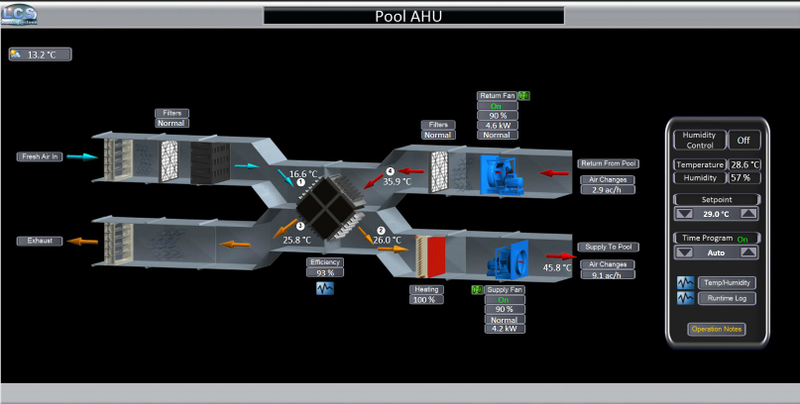 The energy consumption of the pool and changing area air handling units is optimised by controlling the airflow volumes and heating circuits, based on the required temperature, humidity and occupancy settings. The usage of gas and electricity is monitored and logged, with various indicators set up to show the energy usage throughout the day.